Together again! 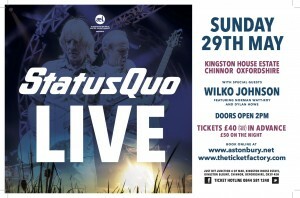 Don’t miss the chance to catch Wilko and the boys supporting the mighty Status Quo on May 29th at the beautiful Kingston House Estate in Oxfordshire. Click here for tickets and more.